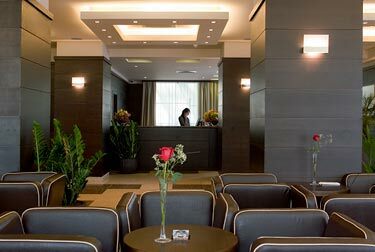 Hotels in Sofia - Central Park Hotel in Sofia. 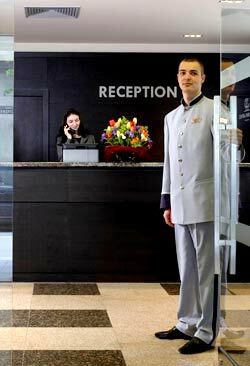 Sofia Hotels - Central Park Hotel. 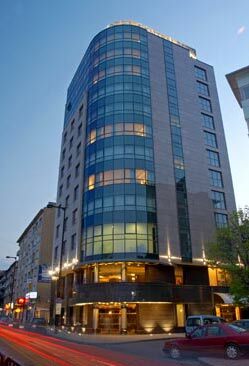 Book Central Park Hotel in Sofia. 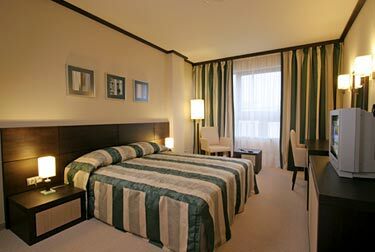 Location: The 4 star luxury hotel Central Park enjoys a prime location situated in the heart of Bulgaria's capital. 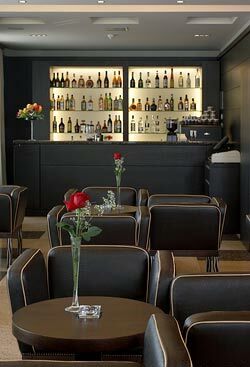 With easy access to all sites of interest in Sofia it is the ultimate venue for business and leisure traveler alike. 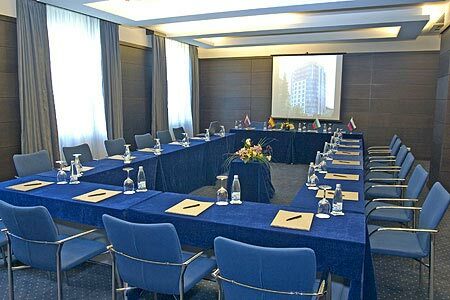 Overlooking the Vitosha Mountain, just opposite the National Palace of Culture, the Central Park Hotel is in close proximity to the major administrative, financial and commercial sites. 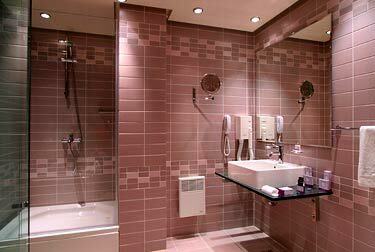 The finest shopping area of Vitosha Blvd, diner & entertainment places and tourist attractions that Sofia has to offer are within walking distance. Sofia Airport is siruated 10 km away. 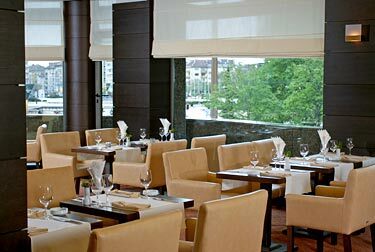 Dining: The restaurant of Central Park Hotel, which welcomes up to 64 guests, offers in relaxed, informal atmosphere a rich variety of dishes from both Bulgarian and International cuisine, light luncheons and numerous culinary temptations. 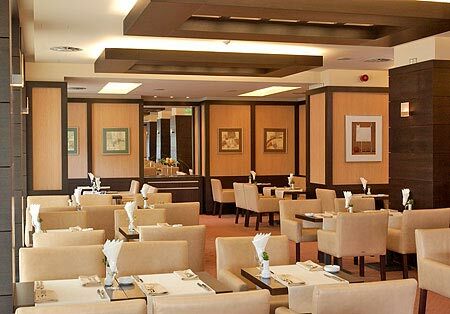 The restaurant is open every morning for our lavish buffet - breakfast. 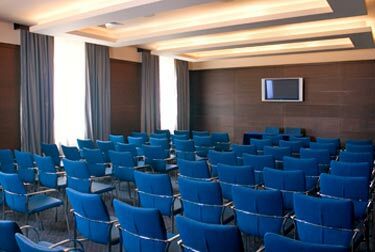 Meeting Facilities: For meetings, seminars or special occasions the hotel features two naturally lit meeting rooms, seating 70 and 40 people. Designed and equipped to meet the needs of business guests they offer a full - scale meeting equipment, comfortable ergonomically designed chairst. 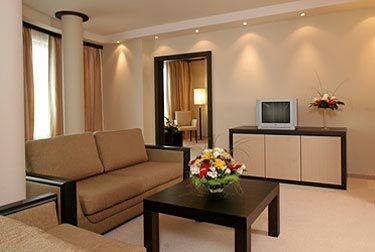 Accommodation: Central Park Hotel boasts 77 luxury, elegantly appointed rooms and suites, offering style, coziness and comfort, most of them revealing a spectacular view of Vitosha mountain. 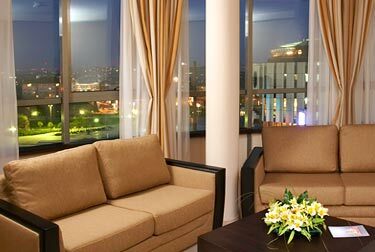 All rooms offer a comprehensive range of in-room facilities: air-condition with individually controlled temperature, satellite TV channels, mini bar, in-room safe, electronic lock system and sound proof windows. 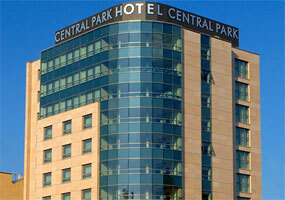 * Please note that all guests of Central Park Hotel made reservation through this web site use for free Internet access.